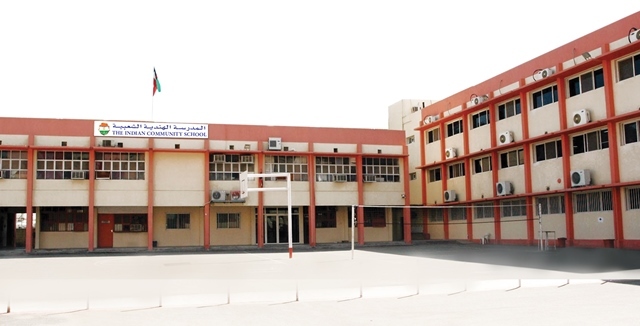 KUWAIT: The Indian Community School, Kuwait (ICSK) management sought to provide clarification to dispel false speculation about the school through visual media raised by a board member whose term is expiring in a few days against the board and management. The management state that the school is functioning in a very smooth and transparent manner strictly as per the provisions of the laid down rules and guidelines. A lonely board member along with the support of external elements who have no connection to the school and who envy the progress and transparency of the school has been spreading false and baseless allegations against the school as a part of their political propaganda to make an entry into the board with the objective of controlling the finances and destroy the school. The management clarified that since the parent council selections has been announced which is scheduled to take place by the end of the month of April many false propagandas are spread by disgruntled elements to gain maximum advantage in Parent Advisory Council selections through spreading false information with the objective of influencing the decision process of simple parents who are well aware of the progress achieved by the school in last three years. § ICSK won the maximum number of five awards the highest among more than 100 schools in the Gulf announced in the Gulf Council of CBSE Schools conference held last year. § 2012 Class 12 board exams it had 100% pass with record number of distinction. § 2013 Class 12 board exams it had record number of 41 Kuwait toppers in subjects. § 2014 Class 12 board exams it had record number of 97% students with first class and 81% distinction which is a remarkable achievement in the history of the school. § ICSK started afternoon shift to accommodate all the students due to capacity constraints in morning batch. § Over 40 of our teachers received the best teacher award from Union Minister for HRD Ms Smriti Irani. § ICSK conducted Mega Arts Festival by ensuring participation of 100% of our students with record number of 113 events resulting in over 339 awardees with a focus on developing artistic talents among its students. § ICSK commenced over two dozens of students clubs to develop non academic talents among the students. § ICSK pioneered in introducing SMS facility to parents on their wards daily attendance in the school. § ICSK continues to win the Kuwait Cluster Championship in sports for the 13th year in a row. § ICSK through its endowment fund provides free education to over 50 deserving students every year. § ICSK provides sports scholarship with a view to develop sports talents among its students. The management reiterated that for the school, it is smooth sailing now as the board members with negative attitude have exited the board who were instrumental in bringing down the quality of the school and its governance to a decade low level till 2011. The current management has a clear vision and it continues in its progressive path providing the best in class education for the Indian Community in Kuwait despite many challenges it faces. The management while listing the achievements of the school over the years in the fields of academics, sports and co-curricular activities, refuted certain allegations leveled by one single board member. It stated that the Ambassador of India has been briefed on the progress and conduct of affairs of the school from time to time. A small fraction of public who have no connection to the school are now trying for an entry into the board by leveling baseless allegations against the current management with the help of a minority of parents by trying to influence the larger parent community. The schools financial management is extremely transparent and Audited Financial Statements are posted on the web as well as presented to the Embassy of India. Allegations leveled by the disgruntled board member through visual media is an election time propaganda. The entire board of trustees at present have valid term as per the constitution and the board meeting of previous month already decided in filling the two vacant positions with high quality professionals with sound Academic background and thereafter to select a Chairman for the school once the new board is constituted. The board is a fully democratic body with full freedom of expression for every member represented. The school board assigns sub-committees for various activities such as academic committee, sports committee etc with the participation of parent council (PAC) members. Each committee handles their duties responsibly and diligently. The ICSK board of trustees consists of 12 members including vice chairman, secretary, joint secretary and treasurer, two ex-student members and five members of the parent advisory council. In addition, a five-member council of elders is also there to advise the board. The management thanked all the members who had positively contributed to the progress of the school through their representation in various sub committees despite the challenges it had faced due to the extremely negative attitude of one single parent member who was unsuccessful in all the responsibilities entrusted to him. ICSK will build its new branch at Mahboula in a 10,000sq meter land that has been granted to the school by the Kuwait government with an approval for construction on 8,000sq meter of land and parking lot on 2,000sq meter. All measures have been taken to legally safeguard the interest of the school and protect its assets with the assistance of Indian Embassy. This is for the first time the Kuwait government has provided land to an Indian school to construct its own building. This indicates that how much Kuwait Government has regarded the contribution of Indian Community to the socio economy of the State of Kuwait. ICSK has raised students' tuition fees complying with the directions given by the Ministry of Private Education earlier this year. It has also announced the increase of the staff salary as per the directions given by the Ministry of Private Education. The management stated that the dedicated teachers Principals/ Vice Principals and non teaching staff are the greatest asset of ICSK and a large section of its staff has served a tenure of more than a decade with the school. Around 6,800 students study in the four branches of the ICSK, which was founded in 1959, formerly known as Indian School. The school, which has a staff strength of 456, offers around 12 different streams of various combinations, a rare feat for any school in the Middle East. The management stated that the school functioning has been in strict compliance with the provisions of the constitution which has been well guarded although several attacks had taken place in the last one year to misinterpret and break the clauses of the laid down constitution in its functioning.